I think any respectful, right-minded person would agree that it’s important within a group or family setting to be on the same page when making decisions and navigating circumstances. This is especially true as it relates to managing crisis. While we all may agree that unity is critical, this ideal is useless if our actions don’t corroborate our claims. We can all find ourselves locking horns with those we’re called to unite with for a common cause. 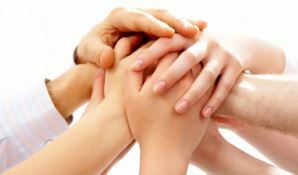 When the goal is centered around a loved one who struggles with substances, united not divided is of utmost importance. 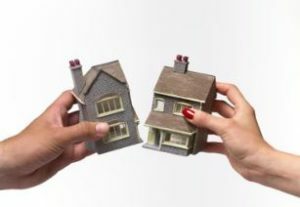 If division is occurring within the home (or homes), it’s crucial to resolve differences in a fair and honest manner in order to obtain peaceful solutions. Concerning alcoholism, addiction, and SUD, most people have stories of division. Some occur within a marriage where everyone in the household is pulled in different directions. There can be a good cop/bad cop situation in play, siblings played against one another, and so on. Coming to terms with the huge importance of having a united front is crucial. In families where there has been a divorce, it would seem division may be already in place, but from my own experience I know that unity is possible. Division may come from well-intended family members or friends. Division can come from people pulled in or perhaps outsiders taking it upon themselves to become involved. Division can be motivated by fear, guilt, or more sinister motives such as selfishness or a hidden agenda. Whatever the case may be, division is an area of weakness that allows the disease of addiction and the manipulation it needs to survive, to wreak absolute havoc within a family. Cracks of division, similar to cracks in a foundation, will bring a house down. Wherever those cracks appear, deception and manipulation can get in, which will deter truth and peace and can postpone the path to recovery. My ex-husband and I kept a pretty good truce going for the decade we shared the responsibility of raising our son after our divorce. Of course it was awkward and even hostile in the initial phases of separating. In the early days we were prone to heated conversations and blame (never in the presence of our son) and it made for discomfort when our paths crossed. Two years after the divorce, we met in person to have a conversation that cleared the air. We put our issues to rest moving forward from them with a commitment to positively parent our child. We set clear guidelines to prevent our exchanges from becoming cluttered with issues. This allowed for strong unity when SUD and crisis came roaring through our lives later. Having common goals: peace, health, happiness, and well-being for every child you share is of the highest priority. Never forget, it’s about them. Giving our shared child a fighting chance at the life of stability we felt we didn’t get growing up was important. Giving our son a strong sense of family despite having divorced parents was crucial. These goals were important as a lifestyle for the years prior to crisis, and they became priority during. Anything you do or say (within reason) won’t be held against you. We can choose to not have paper thin skin in dealing with one another. Cooler heads must prevail. If you make a mistake you are still respected as an important part of the family. It’s not going to get rubbed in your face. Moving on is constant. Let’s not demonize one another. It is never healthy to say negative or destructive things about someone your child half-identifies with. If a child is not under threat of serious harm, truths will come out if they need to. Attacking one another and shoving poison in the ear of your shared child(ren) causes confusion, negativity, and will pave the way for unneeded struggles for them down the road. Let’s not rush to react, pounce on, or punish each other. Not everything is an ordeal to freak out about. Making a mistake does not classify you as the villain of our equation. I prioritized this, having come from a condemning, shaming, punishing background. Which is a very difficult culture to be a part of—it makes it impossible to relax enough to just be. If one lays in wait for another to mess up in order to pounce, there can never truly be peace. No petty, spiteful moves. That would only be wounds from the past manipulating current behavior. That includes not passive-aggressively planting negative seeds about one another in the mind of a child. No competitive parenting, such as good guy versus bad guy mentalities. If one needs to lose for the other to win, not only does no one really win, but the shared child, group, and goals are the real losers. Incidentally, it’s good to remember that the behavior we engage in may turn up later in our sons and daughters. If I am engaging in (or accommodating) spiteful, manipulative, game-playing, or unfair tactics, chances are my son will grow up to date, marry, or become someone like that. By virtue of this behavior being woven as if normal into the fabric of his being, he may come to believe it’s acceptable and okay. It’s not acceptable or okay. Those things will always come back to bite. Agree to approach things humbly and bypass childishness. 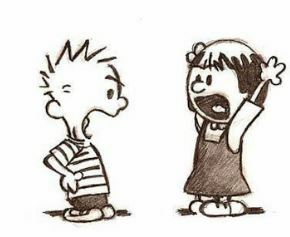 Our sons and daughters are way too important for us to engage in arrogant, right-fighting immaturity. It really helps to be a proud “I don’t know-it-all.” It’s not about just one of us, our history, our unresolved feelings, or who is the better parent. It’s about the goal: the well-being of our kid(s). We must compromise, come to agreement as much as possible, and unite for what is right, fair, and true. This is about what is best for the greater good. White flags go up immediately. When it comes to our sons and daughters, cease-fire should be quick, regardless of how we may feel about one another. If we are at odds, a peace treaty can still happen by virtue of having a shared mission. Loyalty to the goal, to the truth and to what is fair and right. We don’t need to fight just to win. Logic overrules emotion. These standards greatly mattered to us when our son was young. They later became the strength from which we navigated him to a healthy place when our lives were in crisis. What do the earlier years have to do with the disease of addiction? Plenty—addiction is a family disease. If the time ever comes when we might deal with issues of addiction within the family, we have a great running start against the behaviors fueled by SUD. With goals in place, we have strategies ready for managing crisis, manipulation, and division in the future. And that can prove to be life (and sanity) saving. Will we ever fail when it comes to abiding by the ground rules? Absolutely. Sometimes miserably! We don’t always get it right. But the foundation laid is always there to return to no matter who drops the ball. You live, you learn, you do the next right thing and keep going. What if it’s not possible to agree and unite or if the efforts are one-sided? Understandably, there are people we all have to deal with that refuse to play by the rules. Some operate with low-blow behavior, don’t care for the greater good, and can’t be trusted to be sincere. Other times, too much damage has been done to have safe, vulnerable communication. There are people not motivated by logic, fairness, or peace. Some folks prefer to keep the fires of conflict and discord burning. In these situations, the reality is they are probably not going to change behaviors or become less difficult. However, we can set good boundaries and remain healthy enough within ourselves that our reactivity is not negative alongside them. Personally, in those cases I believe it’s a thing of honor to choose to be the one who still does what is right, staying committed to integrity, boundaries, and decisions, holding hope for a peaceful outcome, despite anyone else’s decisions. Their journey is theirs to figure out—we are responsible for our own. Show kindness, don’t ever interact with vitriol, respond with dignity, and keep moving forward. We need each other. We need to be kind and respectful with one another because we need each other. I am thankful my ex-husband and I were able to establish unity when there was so much opportunity for division. It’s possible if we all do our part. Our mission is to give our sons and daughters a strong family which in turn will give them a fighting chance for a healthy adult life. Our responsibility is to not further discord, conflict, or chaos. Our outcome can be the creation of a unique family unit that will become a safe haven, which in turn makes it easier for our sons and daughters to choose a healthy adult life in which they can thrive. My story is not a beautifully packaged family tale. It is raw and real. But it is a true story of reality, recovery, hard work, and hope.